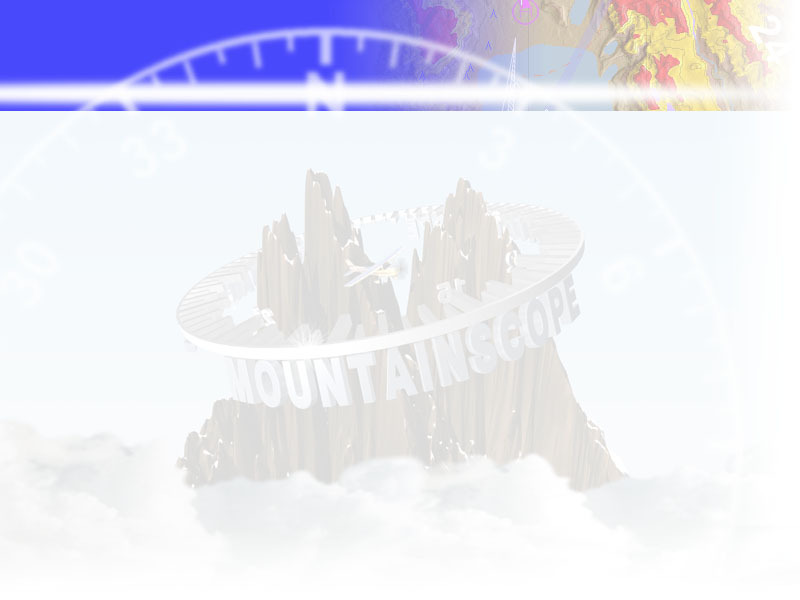 Now you can have nearby transponder traffic displayed on your MountainScope! Connect a Zaon Flight Systems PCAS XRX to your MountainScope system, and you will get graphical alerts that tell you where to look for targets. The connection can be made by serial RS232, USB, or Bluetooth. With an XRX system providing traffic, MountainScope displays traffic position information by placing an outline of the traffic area directly on the moving map display. The traffic's relative altitude is also displayed in the middle of the outline. For example, an aircraft 500 feet below your altitude would be displayed as -5. The climb or descend trend is also displayed as either an up or down arrow. The color of the outline changes from yellow to orange to red as traffic becomes more of a threat.